Fancy a Pop-up Picnic at a Park, Beach or your own Backyard? We love creating amazing picnic spaces for any occasion. 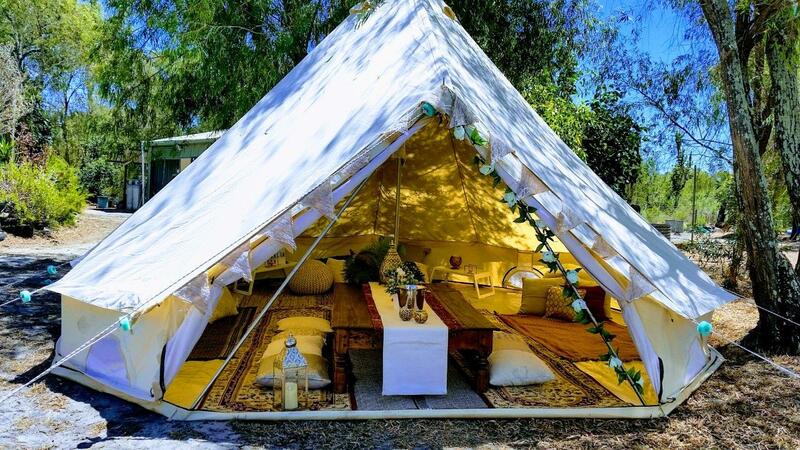 We can theme our bell tents and provide a centre food table, decorations, floor coverings, lounging cushions with side tables for your guests, champagne bucket and a personalized greeting board. 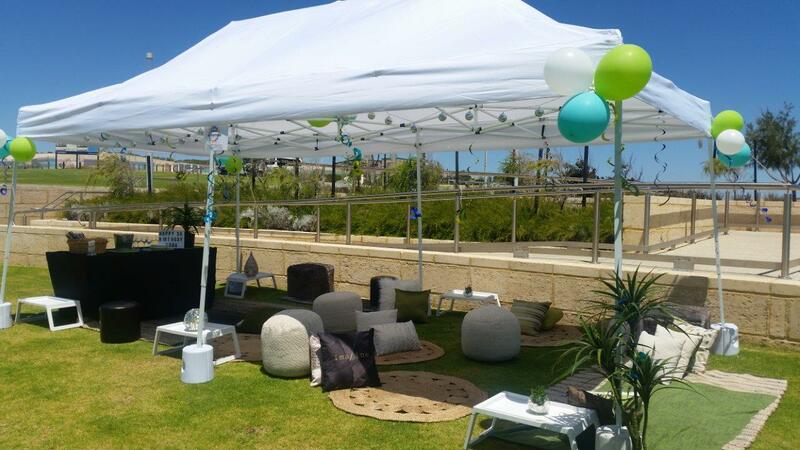 Contact us and let us know how we can help set up and style your special event. Hens Night's, Girls Nights, Birthdays, Fancy Dress Parties, Romantic Dinners and any other Celebration or Special Occasion. Don’t fancy camping but would like to hire one of our Bell Tents to host your special event? We love creating amazing spaces for any occasion. 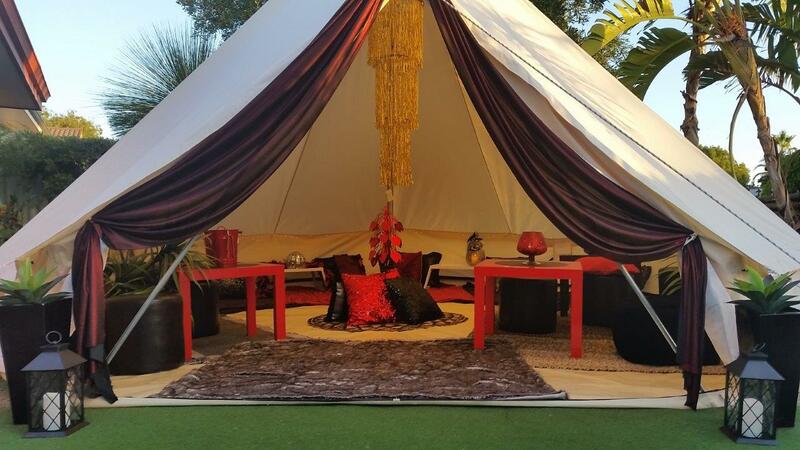 We can theme our bell tents and provide a centre food table, decorative lighting, floor coverings, lounging cushions with side tables for your guests, champagne bucket and a personalized greeting board. We love creating beautiful picnic spaces under Marquees! This is a fantastic option when some local parks will not allow tent pegs to be pegged into the lawn area. We can theme our Marquee and provide ottomans, lounging cushions, food table, décor items, floor mats, side tables, champagne bucket and a personalized greeting board. 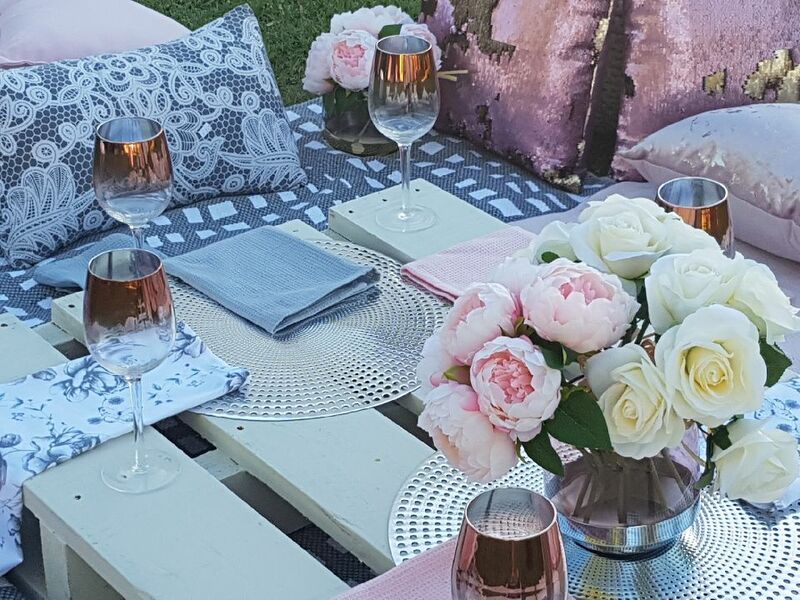 Our stylish picnic events are perfect for celebrating bridal showers, hen's parties, baby showers, birthday parties, garden parties, engagement parties, proposals, corporate functions & weddings! Beautiful, fun and ready for you and your guests to relax. We create beautiful pop up picnics for 2 – 100 people! Includes tables, picnic blankets and a beautiful array of cushions & table décor.